Built to keep you warm and your drink cold. Don’t attend the party… be the party, thanks to the beverage holder and opener built right into this warm, quality sweatshirt. 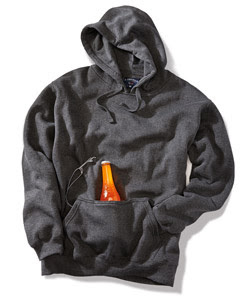 This sweatshirt is perfect for the party’s on cold nights because this jacket has a zipper in the front to hold your beverage; but don’t worry about your hands getting cold, this sweatshirt comes in with a built in coozie right in the little zipper in the front! This product is great for your friends and family if they like to party and have a good time.